HomeCochlear implant surgeryI Have Hearing Loss. My Partner Doesn’t. Help! In the vocabulary of people with hearing loss (PWHL), a person who doesn’t require amplification, implants, captioning, or clear speech from everyone is referred to as ‘hearing’. As in, I have hearing loss and my husband is hearing. I refer to him in my work as the Hearing Husband, but should you meet him, he also responds to Doug, because that’s his legal name. Many or most PWHL love having a hearing person – be it a spouse, a close friend, a parent, or a child – in their lives to help fill in the gaps of what we don’t hear or understand. But I wonder if the reverse is also true: a hearing person loves having a PWHL in their lives so that they can be interrupted in almost activity for requests of “what did he say”, be constantly reminded to speak-up-face-me-don’t-mumble, and frustrated demands to take over a phone call with the hydro company because the customer service rep on the other end of the line is not understandable. Add to that, the hearing person has to decide what’s worse – discreetly reminding your PWHL to stop bluffing in a group conversation (which may earn them an embarrassed retort), or helplessly watching your loved one become isolated in the fast-flowing talk between friends. That’s not all. The hearing person and PWHL have been communicating so well on a car trip, that the hearing person forgets – for just a moment – to have their face visible for a comment. The reply is swift: why do you always face away from me when we talk? Wait, there’s more. The hearing person knows better than to initiate a conversation from another room. But hey, the PWHL has just called out something from the kitchen, so you forget – for just a moment – and call out a reply. The PWHL comes roaring out of the kitchen to say: you KNOW I can’t hear through walls. Reminding them of who started the conversation is not the best response because it doesn’t matter if you’re right, the best course of action would have been to hightail it into the kitchen before speaking. And how about this. You’re both in bed and the lights have been turned off for the night. Your PWHL mumbles something, but it’s not quite clear. Do you turn on the light so that the conversation can proceed, always a shock to the system when you’re half asleep, or do you just ignore the comment until your partner delivers a soft blow to your ribs with a clearly-stated request for you to get up and check on the kids? A classic lose-lose situation. 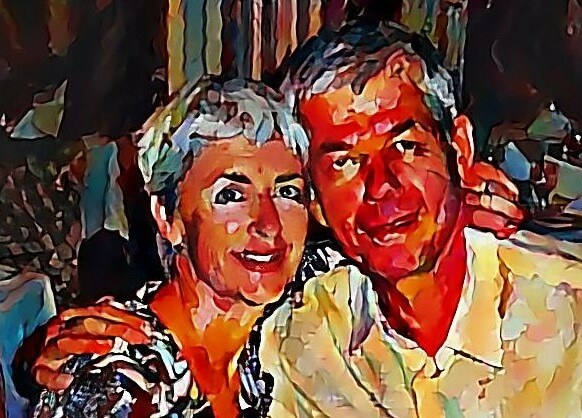 I have often asked the Hearing Husband about how he feels about living with me and my profound hearing loss (read What the Hearing Husband Really Thinks). In his tactful way, he says it’s all part of life together. But even though we’ve had 30 years of togetherness, there isn’t a day that we don’t have some hearing-related incident. When he shows irritation at a request to face me, etc., I try to remember that he’s usually just annoyed at himself for forgetting. If I get irritable with him, it’s almost always because of my own frustrations with hearing loss, not him. (Even the most well-adjusted PWHL has these moments.) Oh wait a minute, it does bug me when we’re flying somewhere and there’s a PA announcement which I just know is about our flight probably leaving early from another gate and when I ask the Hearing Husband what the announcement was about, he’ll shrug and say he didn’t hear it or wasn’t listening. That merits another rib-jab because hey! You’ve been blessed with a great sense of and why aren’t you using it! I won’t say that love conquers all, because sometimes it doesn’t. Hearing loss can place a real burden on communication, which is the glue that keeps us connected. But if someone loves you, they’re not going to let hearing loss change that. Unless, of course, you refuse to admit your hearing loss and won’t do what it takes to improve communication. I’ve been lucky; the Hearing Husband knew about my hearing loss and its challenges when he was still the Hearing Boyfriend. He has been my cheerleader through years of getting used to new hearing aids, frequent trips away from home for conferences or speaking engagements, writing deadlines and, most notably, getting a cochlear implant two years ago. The only tough part was that nobody told him he’d have to remove the stitches from my head. The hearing people in our lives might not be perfect, but with a little patience and communication training – or perhaps ‘with a lot of patience and a little communication training’ – they might become damn-near-perfect.